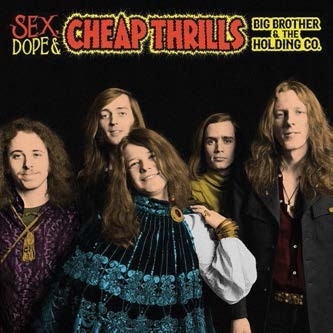 Big Brother & The Holding Company finally get their wish 50 years after the fact, as their most successful album, Cheap Thrills, reverts to its original title. An intended cover shot of the band sat naked in a hotel room must wait for another day, though. It is, of course, the record that, allied with their performance at the Monterey Pop Festival in 1967, made Janis Joplin a global star. Her scenestealing vocals remain the main attraction here, although the much-criticised band who were deemed ill-befitting of her talent often bring rough-hewn charm to the album: James Gurley’s odd buzzsaw solo on Ball And Chain a case in point. 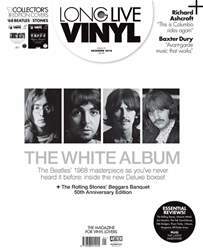 This new two-disc vinyl incarnation brings alternate takes to the well-known original; several are previously unreleased. Occasionally indulgent – hell, it was late- 60s San Francisco, after all – alongside some filler such as the throwaway Harry, gems such as the elegant Summertime, evergreen Piece Of My Heart and authentic Turtle Blues still impress.